Gionee new smartphone the Gpad G3 is official now and is available for RS. 9699. The handset has 5.5inch FWVGA display. It is the same handset that was recently launched in the US by BLU products and is named as Blu Studio 5.5. The specifications and features are really robust, specially when it comes Under price of RS. 10,000. It is successor to GPAD G2 (unboxing), although it has 5MP autofocus rear camera where as G2 has 8MP camera. The Gionee G3 has 5.5 inch FWVGA capacitive touch screen, powered by 1.2GHz quad core Mediatek Mt6589 processor with PowerVR SGX544 GPU and Android 4.2 Jelly Bean operating system. It has Dual SIM capability, 3G, WiFi, Bluetooth, aGPS and microUSB connectivity. Talking about the memory there is 1GB RAM, 4GB on board storage and 32GB via micro SD card. It houses 2250 mAh battery. The primary camera is 5MP with LED flash and front camera has VGA resolution sensor. The device will compete with Micromax Canvas Doodle 2. 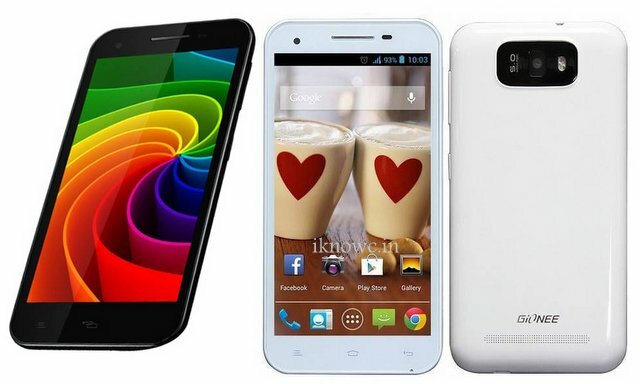 The Gionee Gpad G3 is priced at RS.9699 and is available from online retailers, such as infibeam and snapdeal.